Who was this remarkable woman? 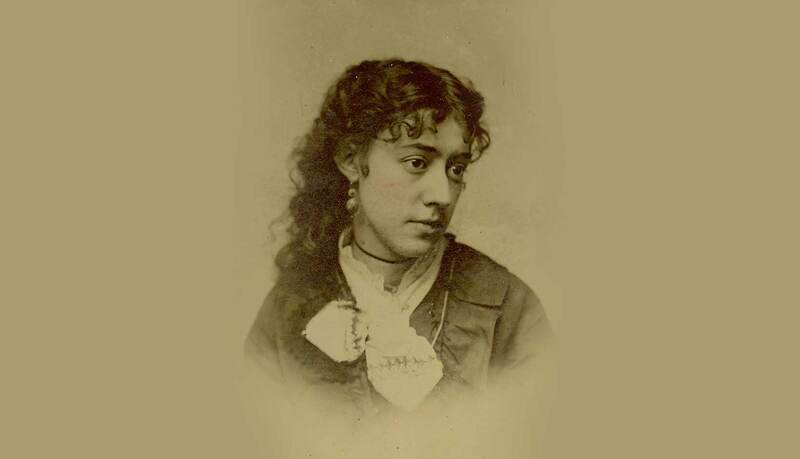 One of four children of a ship captain, Miss Florence was born on Christmas Day, 1850 and raised in the finest house on the main street of a thriving Connecticut town. Old Lyme, a center of shipbuilding and commerce, was established in the early 1600s and counted the Griswolds among the town’s oldest families. Their Late Georgian-style mansion, built in 1817 on a twelve-acre estate, was purchased by Captain Robert Griswold for his bride Helen Powers in 1841. The family’s and the town’s fortunes reversed, however, as a result of the Civil War and the invention of steam-powered vessels. To survive financially the Griswolds turned their home into a school and eventually a boarding house. By the late 1890s only Miss Florence was left to maintain the family homestead. Soon she, and the town, would transform and survive in unexpected ways. 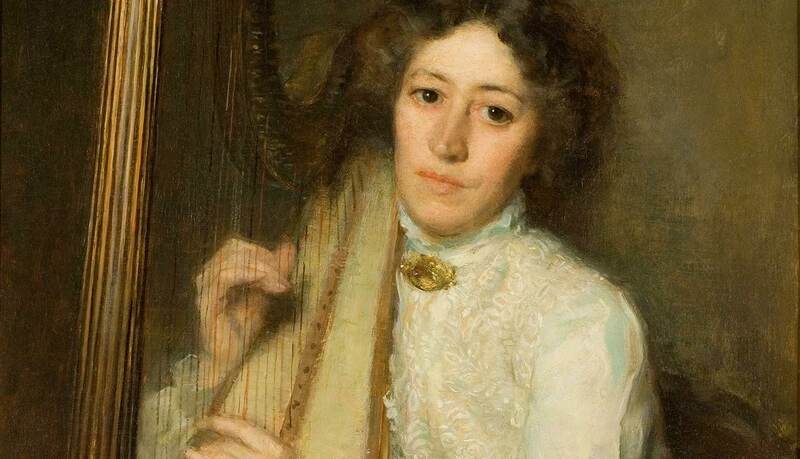 In her delicate and high-bred way, Miss Florence had her part in fostering an authentic American art. 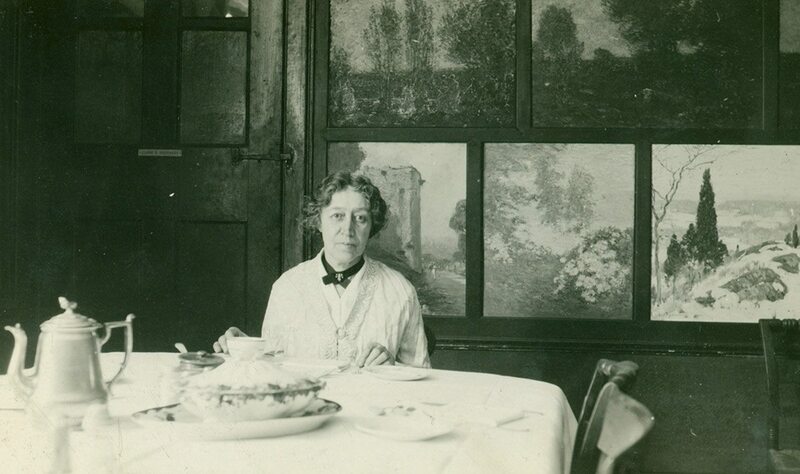 Thanks in large measure to “Miss Florence” Griswold, what is known today as the Florence Griswold Museum has, for more than a century, been the home of the Lyme Art Colony, America’s center of Impressionism. In 1899, an artist came calling. Henry Ward Ranger, having recently returned from Europe, saw in Old Lyme an ideal setting for establishing a new American school of landscape painting. He found in Miss Florence’s home and hospitality the perfect place to settle. Other artists followed suit and the Lyme Art Colony was born. With the arrival of Childe Hassam in 1903, some of the country’s most accomplished artists gathered in her home. Florence Griswold was the very soul of the Colony. She retrieved lost brushes, praised good work and lent respectability to this bohemian group of painters’ good—natured high jinks. Over the next decade, the House became the center of America’s best-known Impressionist art colony. Embodying generosity and optimism, Miss Florence stimulated a remarkable congeniality among a generation of America’s finest painters. 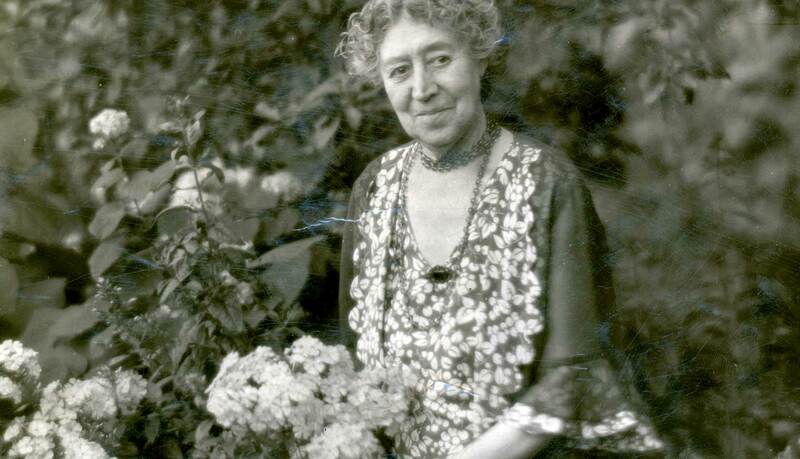 By the time of her death in 1937, this uncommon woman had established a colony that changed the identity of a small coastal village and shaped the careers of many artists. 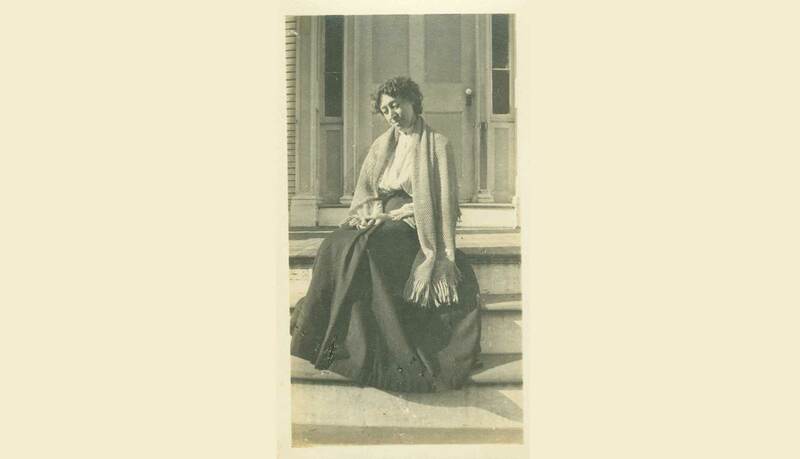 For her part in helping write a vital chapter in the history of American art, Florence Griswold was inducted into the Connecticut Women’s Hall of Fame in 2002. She joins nearly 100 Connecticut women who have broken new ground or emerged as leaders in their fields.